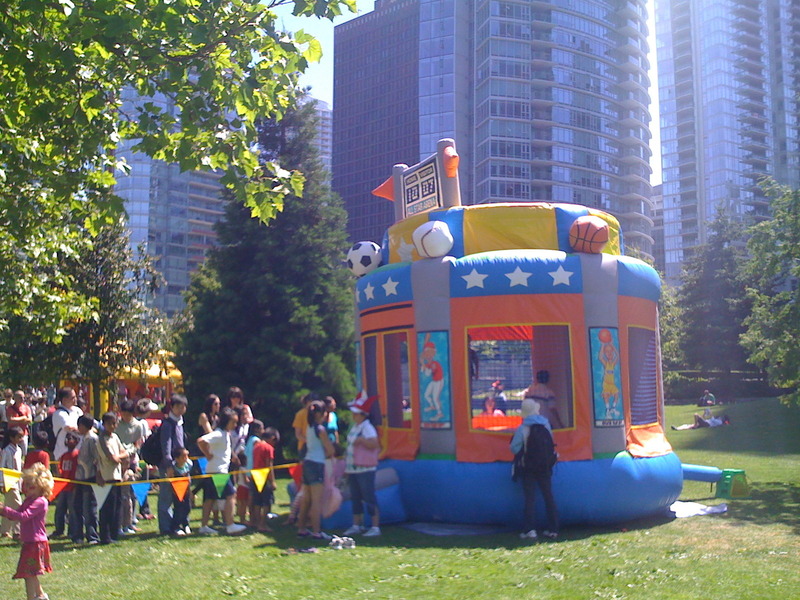 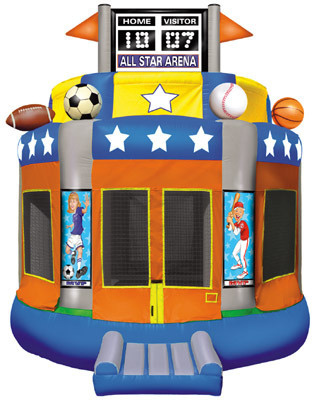 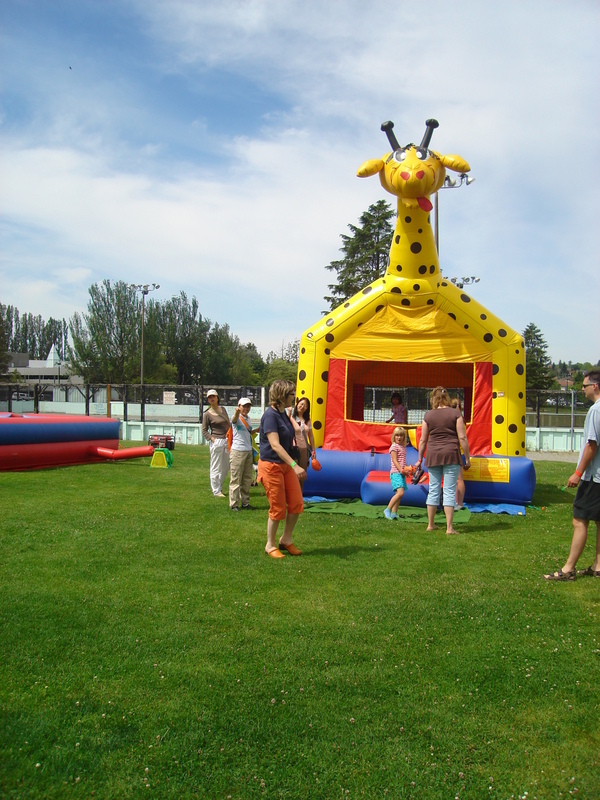 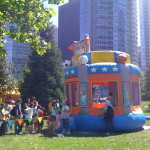 Our All-Star Sports Arena bouncer is perfect for sports themed events and birthdays! 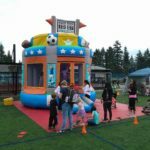 Our incredible digital graphics give you four different sports characters on the front four columns with matching inflatable sports balls on top. 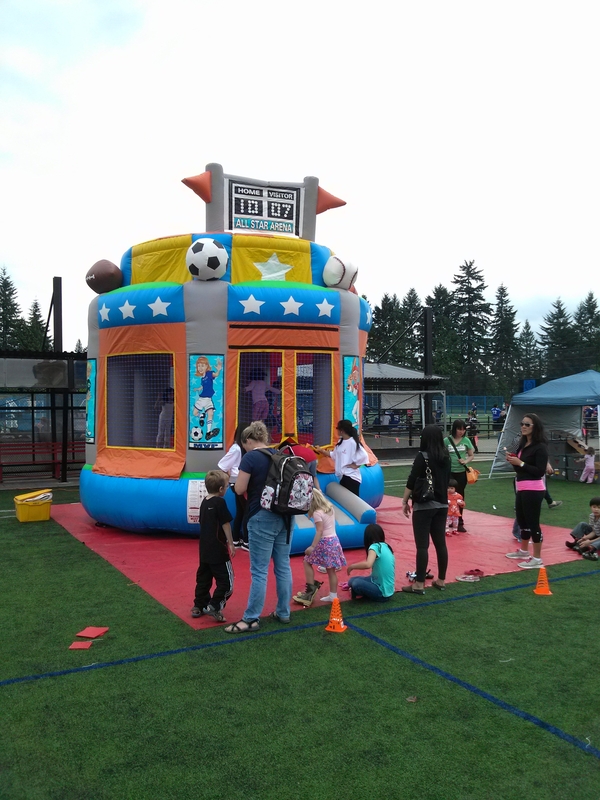 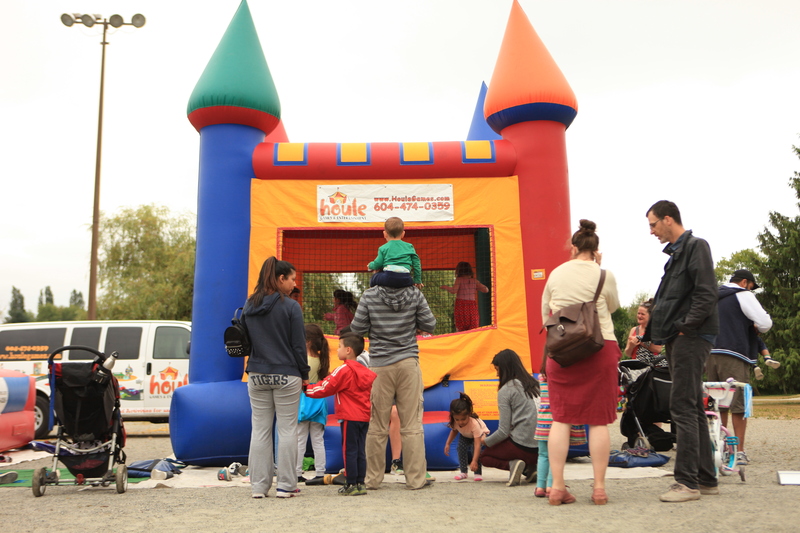 Our All-Star Sports Arena is “enclosed” for safety and includes an exit and entry ramp.